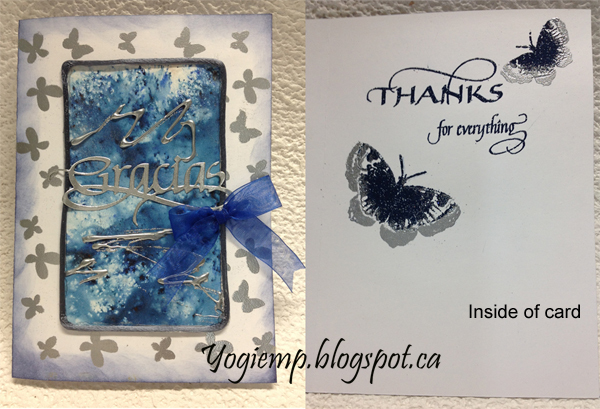 Quietfire Creations is having a kind of Stencil blog hop (with no hopping...) We’re going to have prizes! All you have to do is leave a comment on each of those blog posts on Quietfire Creations. Some days there will be two blog posts, so don’t miss out! 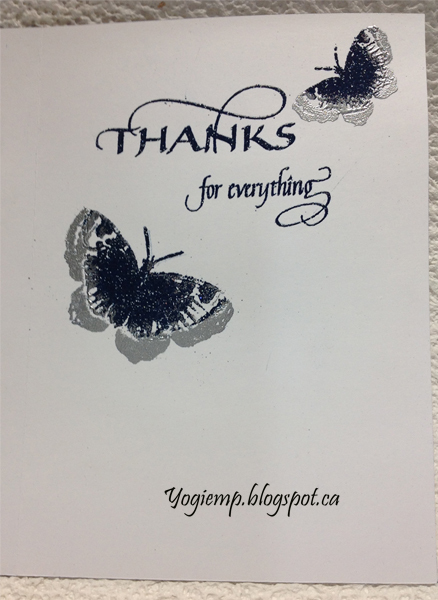 There will be a prize (one of the new rubber stamps) for each blog post. That winner will be chosen from people who leave comments on the blog post and then there will be one grand prize of the complete set of A Way With Words Stencils! We’ll give you the weekend to leave your comments with a deadline of midnight June 4! Winners will be listed shortly after – make sure we can contact you if you’re a winner! I wouldn't have thought of embossing the stencil. Nice effect. 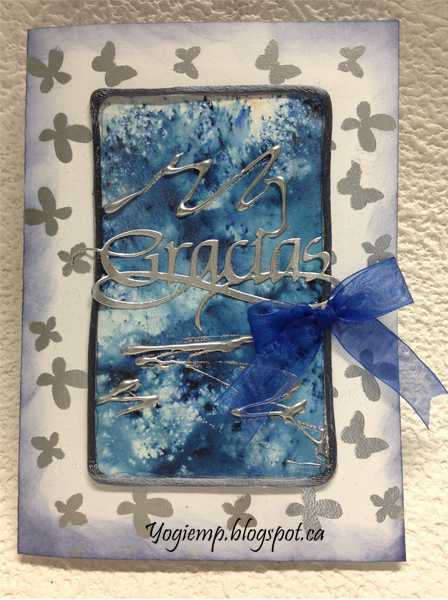 Beautiful blue background on this one, and love the silver squiggles and silver cord trim. Lots of fun creativity going on in your stamp room!